The Callaway Great Big Bertha is back, and it features a whole new level of fairway wood technology. This is Callaway''s fastest fairway wood with the Forged Hyper Speed Face Cup, and it''s built to provide extra forgiveness and control. Ball speeds are fast on both on center and off center hits and it features a larger head with a Modern Warbird Sole. 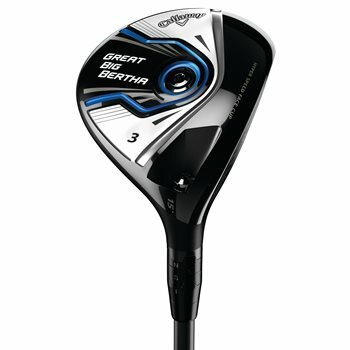 The Great Big Bertha also has OptiFit adjustability so you can tune the club to your liking. The 7 wood and Divine Nine come with fixed loft and aren''t adjustable.